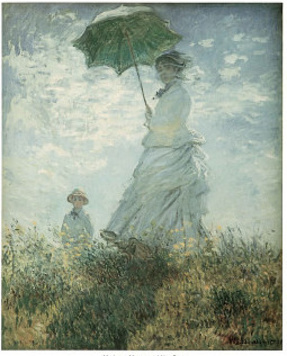 Impressionist Painters, 1800s impressionistic paintings, When, Where and Why. The 1800s with Clause Monet and his Japanese Bridge and Water Lily Paintings. 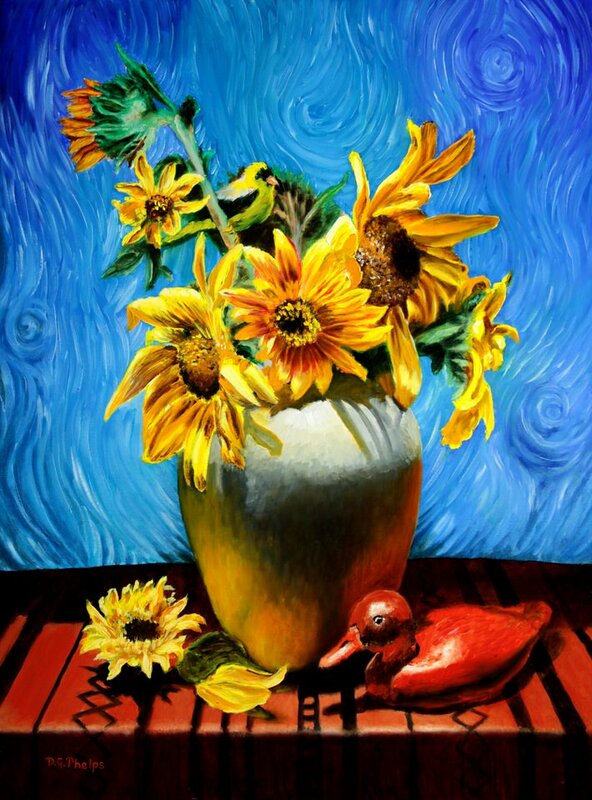 Impressionist painters, who were they, why did they start this movement, and how did they create their art? I'll try to answer most of those questions for you in this article. And of course we will talk about the late 1800's when Claude Monet started this movement and painted his Japanese Bridge and Water Lily paintings. A little historical perspective and a touch of how to create this wonderful genre of art. Let's get to the first answer first! The Where in our inquiring minds. Paris France! That's where it all started. The time frame was the 1870's to the 1890's. I talk a little about the time period below to give you a worldly perspective. Who were the impressionist painters? Here are the main characters listed in no real particular order. These guys formed the group called Société Anonyme Coopérative des Artistes Peintres, Sculpteurs, Graveurs ("Cooperative and Anonymous Association of Painters, Sculptors, and Engravers"). I'll talk a little more about the why later on. This group was soon joined by Paul Ce'zanne (who later left the group), Berthe Morisot and Edgar Degas (who really didn't like being called an impressionist as he painted in a realistic manner, but had good friends amongst the group). Here's a few more impressionist painters to add just in case you'd like to look up their art work and research a bit deeper. Frederic Bazille, Gustave Caillebotte, Mary Cassatt, Armand Guuillaumin. Now, as members of this little group, you had to abandon (forswear) participation in the normal art Salon's of the day. A bit more on that just below when I get into some of the "why" they formed the group in the first place. This was a big deal. The Fine Art Academy was your moneymaker, and to not participate in those shows, well, you could starve. So it was no small thing to break away from the normal way to earn a living as an artist. Nothing in history just happens. Usually, there are a number of contributing factors that will lead up to a big event. Sometimes, the event itself is not truly recognized until years later for what it represents. I believe this is true for what we term as Impressionistic Art today. Let's set the stage for our impressionist painters and go back to an earlier time. It's the mid 1800's and some wonderful inventions are making life in our world so much better. Here in the US, sadly, civil war is getting ready to break out, but in Europe, Paris, life is busy. Photography was becoming popular so realistic art was now being brought into question. Why buy an expensive painting when a photograph (much cheaper) would capture your loved one, your castle or your mountain side villa for a fraction of the cost. It would most likely be monochrome, because color photography, though invented, just cost too much. During the time period we also had public transportation in the countryside from within the city by rail. Remember this as it's important too. But finally, we also have a neat little invention of metallic tubes to store our paint in. And that changed everything. Some more on why impressionist painters banded together. Considered radicals because they were defiantly bucking the system of that day. As discussed in my article on styles of painting, rules were beginning to be broken here as far as painting was concerned. Impressionist painters were creating with freely brushed paint that didn't seem to follow line or contour. Rather than blending paint on the palette it would be blended slightly on the canvas, or two colors placed side by side to allow the eye to blend. This set up an effect called color vibration. To see this, look closely at two contrasting colors and they will appear to vibrate against one another. It's one of those eye tricks. I'll discuss this more in the "how" section of the article, but for now, back to more background information. During the mid 1800's, the Academie des Beaux-Arts (Academy of Fine Arts) controlled the art world of France. Traditional painting had standards that controlled what you painted, but how you painted it! How did they hold such a grip? Well, if you wanted to make a name for yourself, you needed the Academy to show your work. Then an interesting thing happened. Napoleon III happened to see some of the many rejected works that came from the Academy and decided he liked some of it. Well, either that, or he liked his subjects to be happy. Some pressure and noise was being made by some of these rejected artists to get their work noticed. Napoleon III decreed that a "Salon of the refused" be created to let the public see some of the rejected works and allow the public to decide which painting were acceptable or not acceptable. This new show was picking up speed, and more folks attended it than the regular annual Academy show! At first, the art critics were very hostile to the new art. But us regular folks seemed to like seeing the new trends in art. The artists then petitioned for more reject shows, (1867 & 1872) and were declined. So, remember that date I told you earlier to remember, 1873, yep, that's when Monet formed his band of "radicals". They found an artist (Photographer Nadar) who provided a studio to show the paintings, and 30 artists banded together for the first showing of their art in 1874. Let's not forget too, Édouard Manet, though he wasn't considered an impressionist, he was a great influence on impressionist painters, this new group of artists (leading some of their meetings) in their discussions on where "the new painting" was taking them. He also was bucking the system in both his own style and how he created his paintings, but he realized to stay profitable, he had to remain within the Academy system. 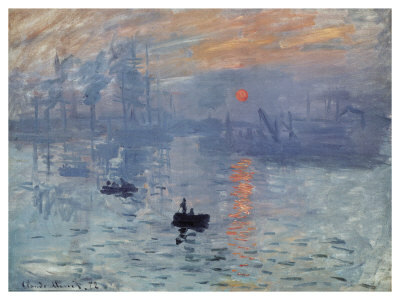 The painting (above) by Monet "Soleil Levant" (Impression, Sunrise) was being shown in this first exhibit, and this is when the art critic, Louis Leroy in a satiric review published in the "Le Charivari" a Parisian newspaper made his comments on the work. " Impression—I was certain of it. I was just telling myself that, since I was impressed, there had to be some impression in it ... And what freedom, what ease of workmanship! Wallpaper in its embryonic state is more finished than that seascape." Well, now you know the rest of the story! Impressionism, the term, caught on and most within the group agreed to it. Now the group did have its ups and downs. Only one artist, Pissarro, participated in all eight shows. The splits came about as any normal group begins and struggles to define itself. These spats were usually about how to define what "impressionism" was and was not. And like anything else, when you loosen the reins (rules) sometimes it's difficult to re-establish new boundaries. How they created their work. Now to the how or at least describe how impressionist painters created their art, and how it differs from the academic art of the day. Though it started in landscapes, the impressionist movement encompasses all subject matter and many styles or techniques. It is not just broken brush work as many would think. Edgar Degas, Berthe Moriso, and Mary Cassatt were very well trained artists coming up through the academies. So they knew very well both the properties of oil paint, and how to apply it in a classical manner. Claude Monet and Pierre Renoir were considered outsider painters being taught by mentors only and not by the established art academies. Their technique would be influenced greatly by their teachers. The impressionistic painters not only changed how a painting was executed, but also in what defined a landscape. Instead of traditional scenery that was usually the background to a historical or allegorical story (one of the Academy Rules), they painted urban vistas as landscapes. These cityscapes captured areas that were recovering for the Franco-Prussian War. 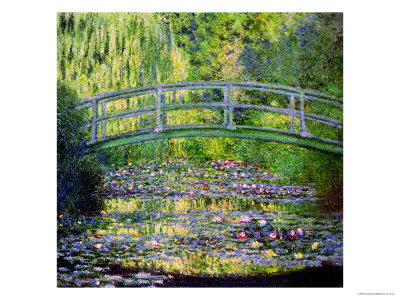 (Monet didn't get into his haystacks and lily ponds with Japanese Bridges until the 1880's when the group broke up). As the cities grew, and incomes became better, folks were looking for ways to get away from the city. With better living conditions more free time was available, and the Railroads made it super easy to "get outta town". Small towns and villages became tourist destinations and artistic havens. Remember earlier I talked about inventions? And the little metallic tube of paint? Yep, Artist's now could take their work outside, far from the studio. So instead of the laborious planning, and preliminary drawings that usually took place in the studio. 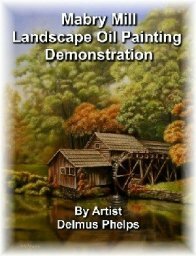 The impressionist painters would start outdoors with a simple oil sketch. Classical paintings didn't have visible brush strokes, but these paintings had mass quantities of thick paint with brush strokes plainly visible. Again, instead of a picture that depicted an historical event or mythological story, the impressionist painters were depicting hedonistic (at that time) visual treats. The paintings, being painted directly from nature, were more about the visual rush and excitement of the moment rather than painting. Ogden Rood, a color physicist, greatly influenced these artists too. His color theories helped them to use color to achieve these fleeting moments in time that they were attempting to capture. Well, remember, photography was becoming ever so popular, but massed produced color photography wasn't here yet. So if you wanted a big color sofa picture, you still had to rely on an artist to get it. And an impressionist painter was becoming the new style of work to put into your home. Now hopefully, you know a little bit about the "how" an impressionist painter created their work. The actual techniques used would be a bit too much to put here, but sign up for the E-zine, and when I put together a demo, you'll be one of the first to see it. So, let's take a short test. Does the painting you're looking at look like something recognizable, but just missing most of the details. Does it appear "looser" more "painterly"? Then it's probably an impressionist painters work. If the painting you're viewing doesn't look like anything that you can recognize, well, then that's going to be Expressionism, and if it really doesn't look like anything you've ever seen or recognize, then it's Abstract Expressionism. See this link for more details (back to art styles page). While on a recent trip to Washington DC, I was fortunate to visit the National Gallery and found Impressionist Painters exhibit in full swing. 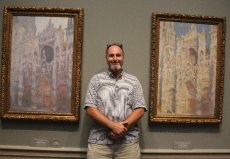 Many Monet's were there and it was one of the catalysts that had me research more about this group of painters. Seeing these works up-close and personnel also helped me understand the work. I was inspired! Impressionist Painters at the National Gallery in Wash. D.C. 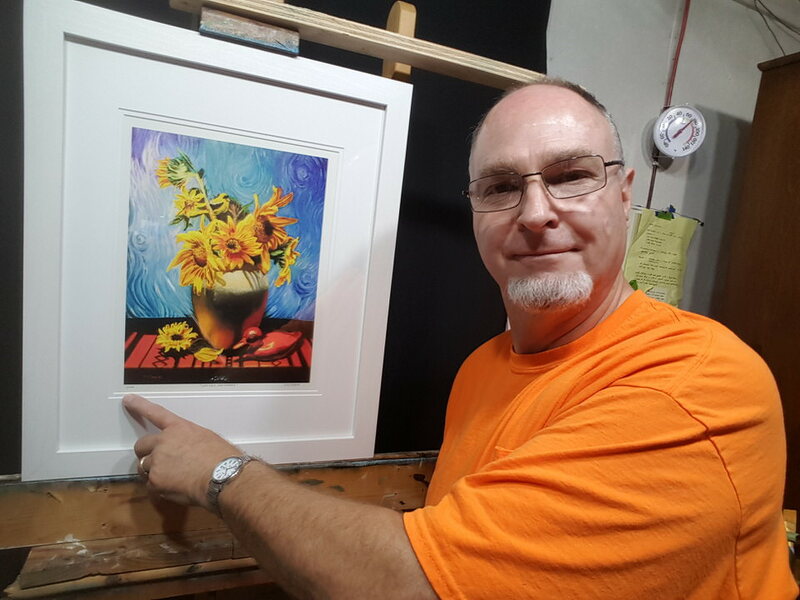 I guess because a lot of this information wasn't just inside my head, I'll give you some of the sources that will allow you to do a deeper look into the life and times of Impressionistic Art, Painters and Monet's impressionism. Wiki and About.com were a big help, but mostly a big book titled "Impressionism" by Isabel Kuhl. The foldouts of the paintings are exquisite! And now I'm gonna give ya a shameful plug to my own version of an impressionistic painting! If you have an interest check these out!